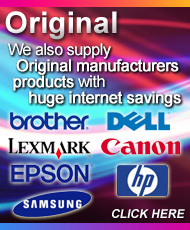 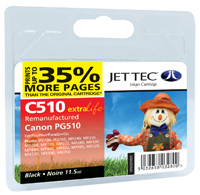 Canon PG 510 remanufactured ink cartridges from Jet Tec - FREE UK DELIVERY! 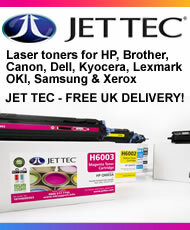 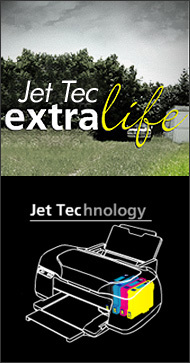 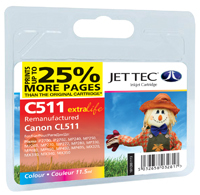 Canon CL 511 remanufactured ink cartridges from Jet Tec - FREE UK DELIVERY! 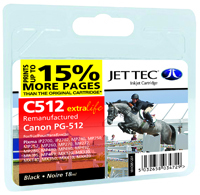 Canon PG 512 remanufactured ink cartridges from Jet Tec - FREE UK DELIVERY! Canon CL 513 remanufactured ink cartridges from Jet Tec - FREE UK DELIVERY!